A very nice place to live.....submitted by Gregory M. - Oct 23, 2018 |Recommended: YesA very nice place to live...…. This property is well built.  It is extremely well maintained and luxuriuos.submitted by Elaine W. - Oct 09, 2018 |Recommended: YesLiving here at Merrriewold Luxury Apartments has the feel of living on a resort . In addition the Property Manager Gerry and Leasing Consultant Mary go above and beyond to ensure all needs are met no matter how big or small. All of the staff at Merriewold are exceptionally nice and courteous. This certainly includes the maintenance crew Joe and Robert. They know how to get the job done and this includes in a timely manner. Great Propertysubmitted by Hung V. - Sep 26, 2018 |Recommended: YesWell manage, beautiful property. It is a convenient, well managed, luxury apartment complex.submitted by Ajay V. - Aug 29, 2018 |Recommended: YesIt is a good luxury apartment complex located conveniently close to the train station as well as NYC. The property is great, i love living theresubmitted by Shanice J. - Aug 02, 2018 |Recommended: YesIts a very nice and quiet community, the staff is amazing and welcoming. Overall - Very Goodsubmitted by Marsha S. - Jul 09, 2018 |Recommended: YesOverall the property and apartment is great. The construction is good and the grounds are very nice. The staff has been responsive and professional. This is the nicest complex in the area. The following rules must be adhered to. Violation will constitute sufficient grounds for immediate removal of the pet by you from the property and/or immediate lease termination. You will incur all legal fees. Violation by other pet owners will be dealt with by the management and does not constitute a waiver of your agreement. 1. A non-refundable pet fee of $400.00 for the 1st pet and $200.00 pet fee for the 2nd pet must be paid upon execution of the agreement. The fee(s) is for the privilege of having a pet(s) on the property and will not be used for any damages caused by your pet. Damages must be paid immediately. 2. An additional pet fee of $50.00 per pet will be paid on the first of each month to be included in your monthly rental payment. 3. Landlord reserves the right to limit the number of pets to no more than two animals per 1-2 bedroom apartment, and 3 per 3 bedroom apt, cats or dogs. 4. Landlord will charge $300 cleaning pet fee, if resident(s) do not curb the dog(s). 5. A photograph of the pet must be provided and will be kept in the apartment file. 6. Dog Breed restrictions: - Akita - Giant Schnauzer- Alaskan Malamute - Great Dane- American Staffordshire Terrier - Husky- Bullmastiff - Pit Bull- Chow - Presa Canario- Dalmation - Rottweiler- Doberman Pinscher -Saint Bernard- Eskimo Spitz - Wolf Hybrid- German Shepherd. Any mixed breed dog including one of the above.